Engaging and supporting people who inspire, equip and mobilize others to take action that changes the world. Why People Volunteer and how do I keep them happy? Volunteers can be the lifeblood for many organizations and they’re great assets. What if your organization doesn’t have a volunteer program? What does it take to start one? Starting and maintaining a volunteer program can be challenging but can reap great rewards if created with a healthy dose of planning. Here are some tips to get you started. Supply and Demand: The best place to start is to assess the need. A simple way is to gather your leadership team, staff and perhaps other stakeholders and do a SWOT analysis. By looking at your organization’s Strengths, Weaknesses, Opportunities, and Threats you can get a good idea of where you may be falling short in fulfilling your mission. This information is invaluable in identifying where and how volunteers could help your organization. An assessment can be as simple or complex as you need it to be. Organization and Staff Buy-In: Once the need for a volunteer program has been identified and leadership has bought in to moving forward then it’s time to start the serious work. Convening meetings with staff and other stakeholders to discuss issues or concerns can be very helpful. If the organization is employee-driven there may be a concern that the volunteers will “take away my job.” These early on discussions can result in learning about both problems and solutions, as well as fresh ideas on integrating volunteers into your work. 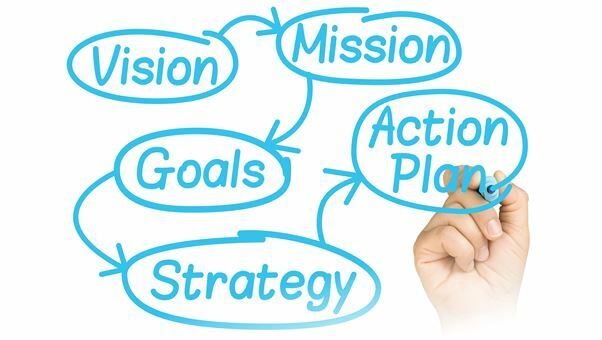 Purpose Statement: Write a purpose statement for your volunteer program that states how the program will contribute to the overall achievement of the organization’s mission. The purpose statement answers the question, “Why does the volunteer program exist?” This statement will guide the development of the program and provide “boundaries” for what volunteers are asked to do and not do. Cost: It’s a myth that volunteers are free; the reality is there is a cost. Determine what those costs are for your organization and where they fit in your budget. If you’re a small organization perhaps someone already on staff can start the program as part of their normal duties. But don’t expect this to be an easy job. This person will need support and a reduction in normal duties to be successful in getting your new volunteer program off the ground. You may need additional equipment, computers, space, vehicles, tools, and supplies to ensure the new volunteers have what they need to successfully support your work. Some of these items may be shared but don’t sabotage your new program by under-resourcing it. This is an investment to support your mission. Volunteer Job Descriptions: Write a job description for each type of volunteer position. These should include the knowledge, skills, and attitudes needed for that position. You can start the volunteer job descriptions from scratch, modify ones you may already have for employees or do an online search. These job descriptions are your “shopping list” and will help you recruit the right person to fill your need. Systems: Creating a successful volunteer program from the ground up requires some systems to be in place. Some can be mirrored from those used with employees, including recruitment and selection, orientation and training, record-keeping, policies, procedures and more. Each of these systems need to be examined to ensure they work for your volunteers. Starting a new volunteer program will be a challenge. But you are not alone. The Florida Association For Volunteer Resource Management is a network of volunteer management professionals who can help. FAVRM and several organizations around Florida offer the Excellence in Volunteer Management Training, a six module training program that teaches best practices relevant to today's volunteer manager. This training along with the connections you make will be invaluable assets as you develop your successful volunteer program.